Photo by Jay W. Bennett Ben Menarchek went 3 for 5 and drove in two runs while also throwing a complete game two-hitter to help lift Parkersburg South to a 14-2 six-inning victory against rival Parkersburg on Tuesday night at City Park. 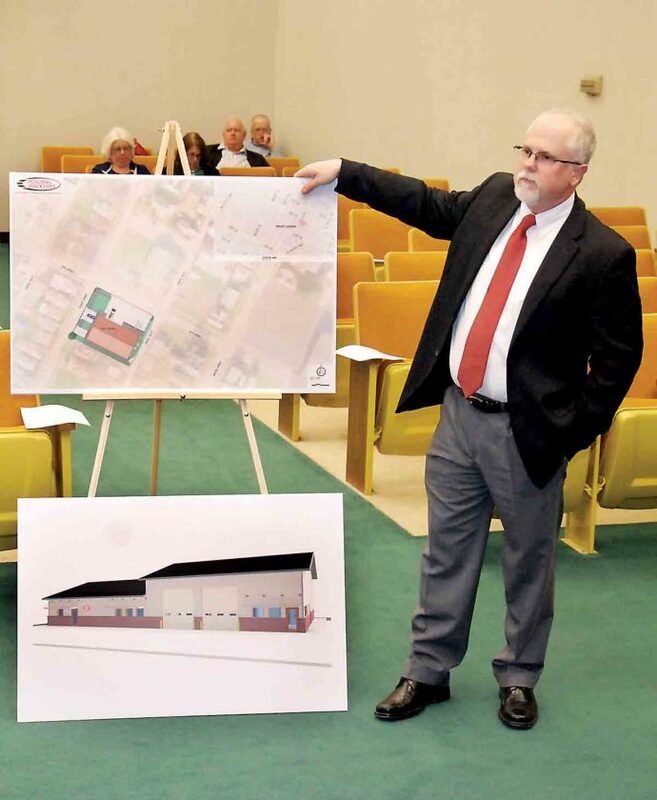 PARKERSBURG — Construction on the first of three new fire stations could begin this summer after Parkersburg City Council approved a pair of resolutions Tuesday. Pickering Associates President Ryan Taylor presented designs for the first station, to be located at 16th and Covert streets, during a special council meeting prior to the regular session. The approximately 6,000-square-foot station will be built partially on the current site of station 2, with the footprint extending onto a parcel purchased last year at 1504 Covert St.
Station 2 was built in the early 1930s, along with station 3 at 13th and Liberty streets and station 4 at West Virginia and Emerson avenues. All three are facing multiple structural issues, including leaking roofs and basements and shifting foundations. 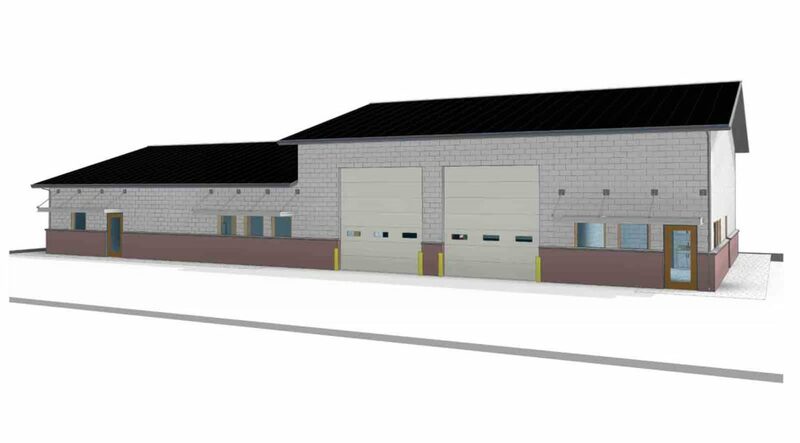 In addition to garage doors large enough to comfortably accommodate contemporary fire trucks, the new station will have a kitchen, weight room, sleeping quarters for six firefighters, separate laundry facilities for turnout gear and regular items, provisions for backup power and a community room. Taylor and the rest of the Pickering design team received a great deal of input from Fire Chief Jason Matthews and a team of six firefighters at the start of and throughout the design process. “It’s been a collaborative effort over these last 12, 13 months,” Mayor Tom Joyce said. The project is expected to be funded by a Section 108 loan through the federal Department of Housing and Urban Development. The income levels in the area where the station is located make it eligible for the loan, which utilizes a portion of the city’s Community Development Block Grant funds. The loan, which would not exceed $1.5 million, would be paid back over 20 years. A portion of the 95 percent fire fee increase taking effect on July 1 will be used to pay on the project as well. Taylor said the bid package will include multiple alternate components — such as a metal or shingled roof — so the administration can select features to make the best use of taxpayer funds while staying within the budget. Joyce thanked Matthews and his team for their efforts, as well as the previous City Council, which got the ball rolling for the project by allocating nearly $250,000 toward it. Finance Director Eric Jiles said that money had been transferred to the Municipal Building Commission, which was originally tapped to oversee the project, and those funds, while not exhausted, have been used toward the design work and acquisition of the parcel at 1504 Covert St. The second resolution council approved during Tuesday’s special meeting transferred that property from the Building Commission to the city. The commission is expected to oversee construction of the subsequent stations, which will likely be funded through bonds. If the city is approved for the loan, “we hope to go to bid in May,” Taylor said. That would put construction likely starting in August and continuing through January or February, depending on the weather, he said. The Fire Department would move in in the first quarter of 2019. During the regular council meeting that followed, council unanimously approved the first reading of an ordinance making changes to the Personnel Policy and Procedure Manual. Among other things, this offers a fifth week of vacation to employees who have worked for the city for 15 years and a sixth for police officers with more than 20 years of service. Vacation leave for firefighters, who work 48- and 72-hour shifts, was similarly increased. “I think that right there was the least we could do for our employees,” Personnel Committee Chairwoman Sharon Kuhl said, noting that no raises were included in the upcoming budget. Another change allows those deployed in the military to continue accruing sick and vacation leave, something not permitted under the existing policy. * Council unanimously passed a resolution allowing the mayor to apply for a federal Land and Water Conservation Fund grant for $100,000 — to be matched with $100,000 from the city — for the next phase of the boundless playground in City Park, which is designed to be accessible to all children, including those with special needs. * Council voted 9-0 to approve the infrastructure and stormwater capital plans submitted by the administration. * A budget revision to move $157,972 from unused salaries in the Police Department to be used toward the purchase of a new record management system also passed unanimously. * Another 9-0 vote passed the final reading of an ordinance rezoning a small parcel along Garfield Avenue near Camden Clark Medical Center’s new cardiology building as an M-1 manufacturing zone. The 769-square-foot area belonged to the West Virginia Division of Highways but is being transferred to the city, which owns other property on which some of the hospital’s structures sit. 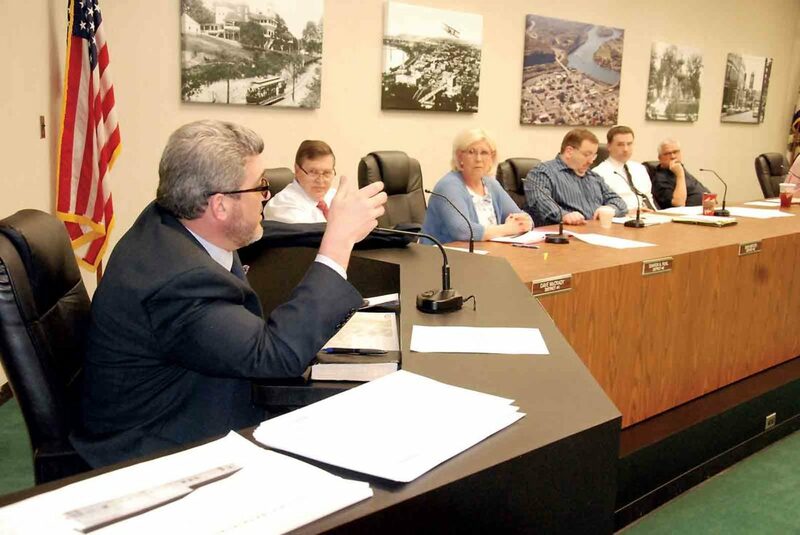 * The final reading of an ordinance reclassifying the personnel and development directors’ positions to reflect pay raises included in the fiscal 2018-19 budget passed 8-1, with Councilman J.R. Carpenter opposed. 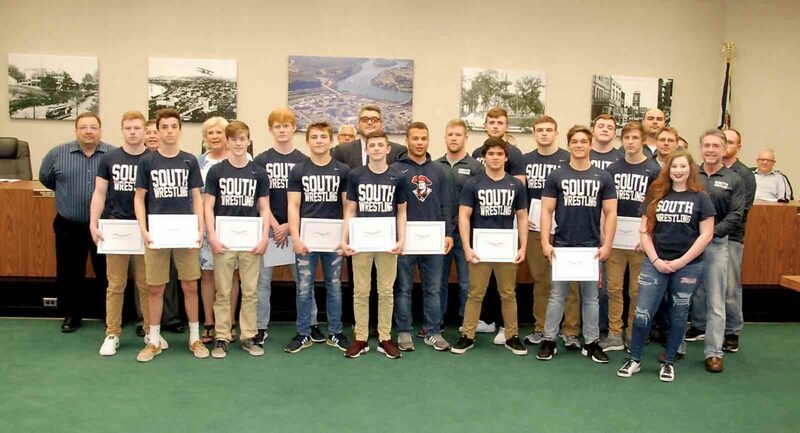 * The Parkersburg South High School wrestling team was honored for winning the 2018 AAA state championship, the 22nd in school history. 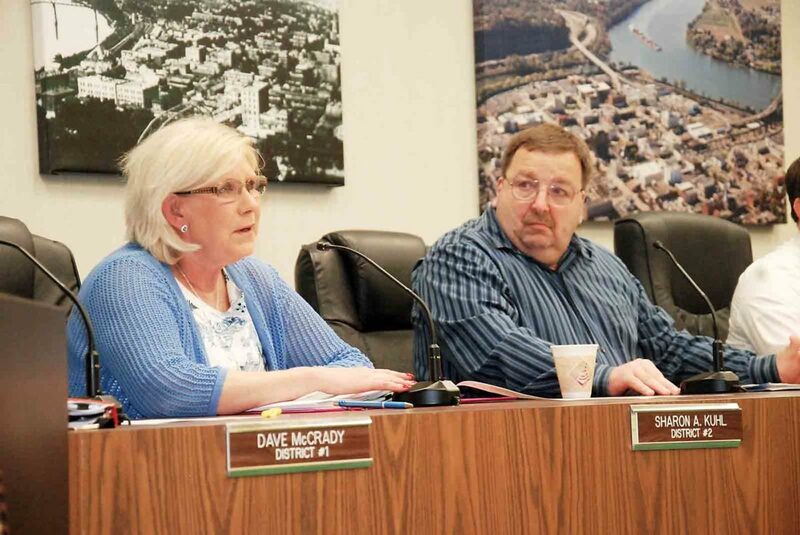 * The next council meeting will be at 7:30 p.m. Tuesday, April 17, a week earlier than usual, so that council can lay the levy on the third Tuesday in April, as mandated by state code.